True prophets were called by God and approved by God as Seers to deliver His message to His people. God does not always call the qualified, but always qualifies the called. Let us look back in time at the great prophet, Yesha’yahu as he is being commissioned by Adonai in the 6th chapter of Isaiah. Yesha’yahu was in the very presence of Holy, Almighty God! Yesha’yahu was seeing God’s holiness! Why me Lord? What have I ever done to deserve this awesome honor and privilege? The one faithful and holy God is all in all. Glory, majesty, and praise are due Adonai, seated on the throne for He is truth and righteousness, with no beginning or end! Let everyone that has breath praise Adonai, the maker of all things. After Yesha’yahu had this holy mountain top experience, he looked at himself. Oh! What a wretched man I am! He was repentant and humbled when he saw his sinful condition. When Yesha’yahu realized his condition, with humility, he confessed and repented to most holy God to forgive him, including God’s chosen people as well. God is waiting for His people to do as did Yesha’yahu, and their sins will be forgiven as well. Yesha’yahu is forgiven, his iniquity is gone and his sin is atoned for. He is now a clean vessel for God to use as the prophetic messenger to His people. Do you realize the importance of the question asked by Yesha’yahu, “Adonai, how long?” How long will their ears be stopped up and their eyes shut? Until these things happen: the cities become uninhabited, the land laid waste, the people are scattered far away and the land is one vast desolation. Praise Adonai! These are fulfilled prophecies! On May 14, 1948, the stump sprouted, began to grow again and the nation of Israel was reborn. AD 70 to 1948 was a very long time without a homeland. 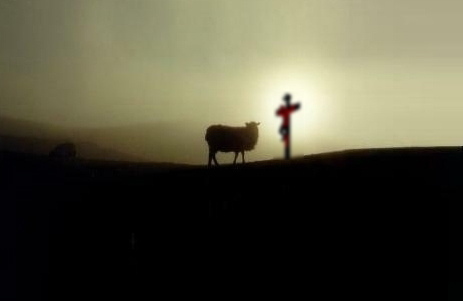 The reason being, God sent His perfect sacrificial Lamb and He was rejected. There is a price to pay for iniquity and sin. Just as Yesha’yahu was forgiven when he realized his lost condition, likewise those who do the same will be healed and forgiven. The prophet Yesha’yahu was commissioned by Adonai in chapter 6 and in chapter 7:14, Adonai begins to unfold His plan for the ages 700 years before it was fulfilled! It’s sad but true that if events do not happen in the logical order that man perceives them then – THEY CANNOT BE TRUE! The Adonai of all things cannot and will not be put in the knowledge “box” of what the mind of man perceives, since there are no boundaries for the One, all knowing, all omnipotent and Holy God! We have established how Yeshua was conceived and the virgin Miryam by which He came to planet earth to show man – God Visible! When King Herod heard of this he became very agitated, and so did everyone else in Yerushalayim. There were three very different reactions to the birth of Yeshua Messiah; King Herod, the Magi, and the chief priests and teachers of the law. 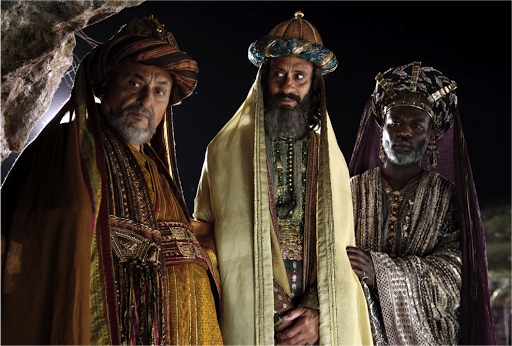 First, King Herod was disturbed and all Yerushalayim with him, for the Magi were looking for the King of the Jews. He did not tolerate competition, which resulted in the slaughter of all boys two years old and younger. This first group represents the darkness of sin and a lost world without God and condemned to death. The Magi, sometimes called the wise men, traveled some distance from the East to Yerushalayim by following the star. 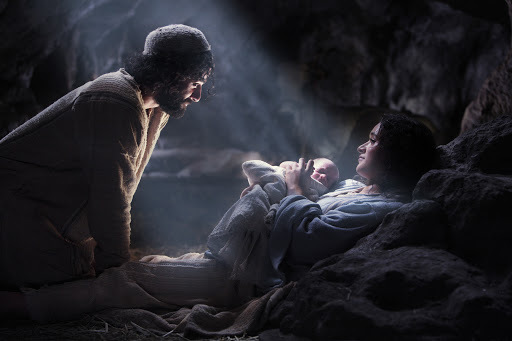 They asked where is the One who is born the King of the Jews? Neither King Herod nor the people of Yerushalayim had the answer. The Magi, after being told by the chief priests and teachers of the law, went on their way and continued to follow the star until they came to the house where the child was with His mother. They brought gifts of gold, frankincense and myrrh. They were overjoyed, bowed down and worshiped Him. Seems strange how they knew, since they lived such a far distance away. They simply believed the Word and followed the Light! Yes, this second group, the Magi, was truly wise men. We can also ask, seek and knock, and the door will be opened to the complete truth, just as it was for them. The chief priests and teachers of the law had everything memorized down to the very dots and tittles. They knew the facts but their eyes were blind and their ears did not hear. On the outside, they appeared to the people as righteous but on the inside they were full of hypocrisy and wickedness. The chief priests and teachers of the law were blind and deaf because they did not open their minds and hearts to the rest of the story! The complete truth!! God’s perfect Lamb, Yeshua Messiah has come, just as predicted 700 years earlier by the prophets, 100% right – 100% of the time. God’s truth revealed! This third group is the saddest of all. They know the scripture and through their own “self” efforts, no one works harder than the legalist. These people are clouds without rain and springs without water. From their mouths comes empty boastful words, they promise freedom but cannot deliver, for they themselves are slaves to whatever has mastered them. False prophets and teachers can deceive and destroy untold numbers of lives. Know the truth and the truth will set you free. From Malachi to Matthew, a period of 400 years, there was silence from God and the prophets. This time brought about the rise and fall of the Grecian Empire, a period of Jewish revolt by the Maccabees and the rise of the Roman Empire. The genealogy of Yeshua Messiah is the bridge from the old to the new. Upon the stage of mankind, the revelation of the Lamb of God, foretold by Yesha’yahu the prophet, is personified!